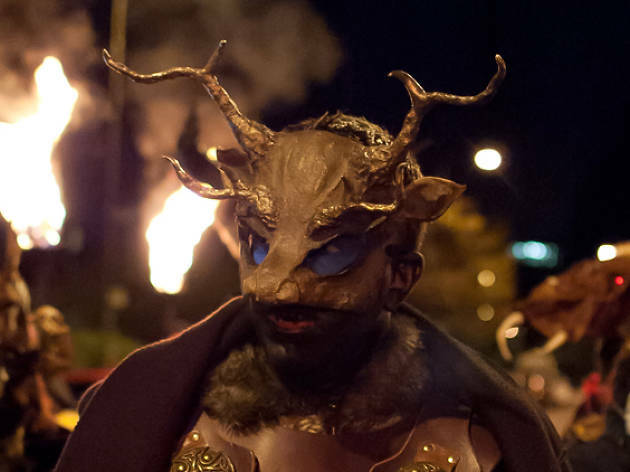 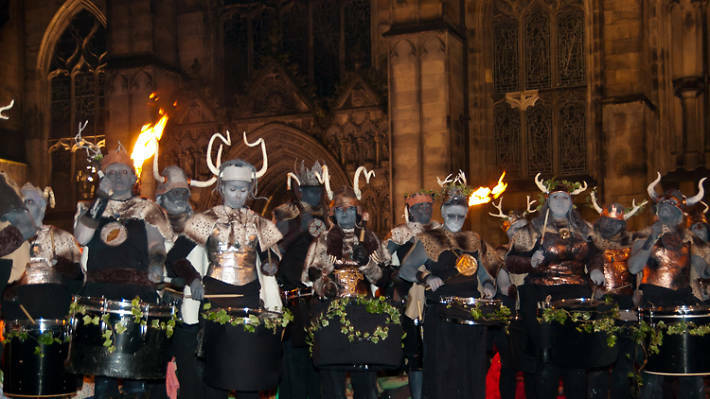 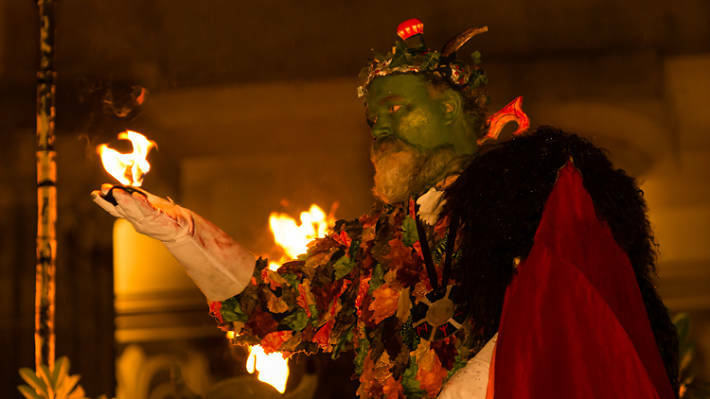 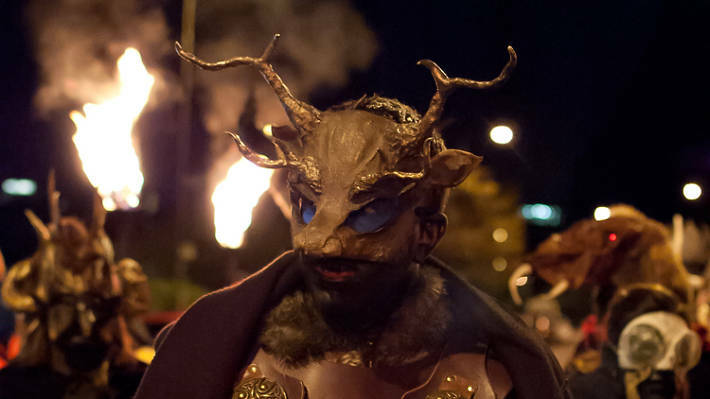 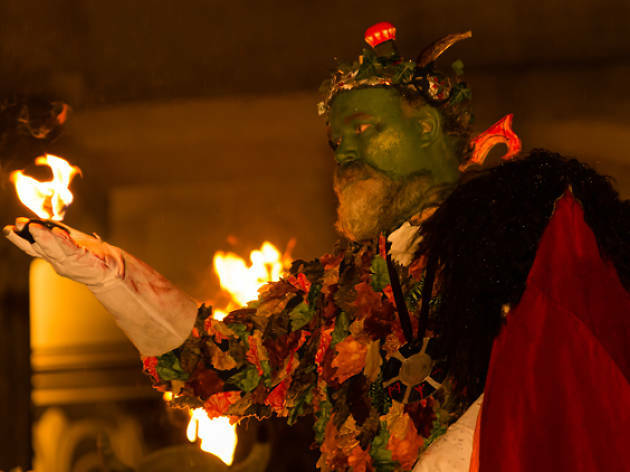 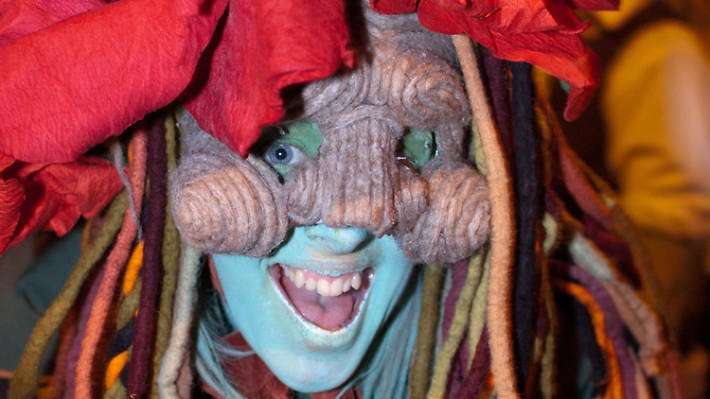 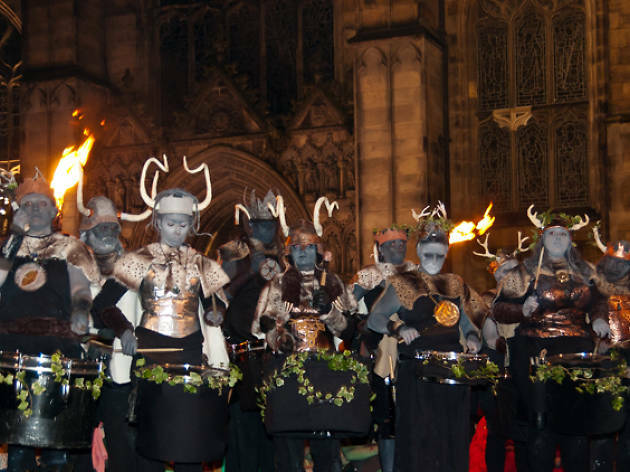 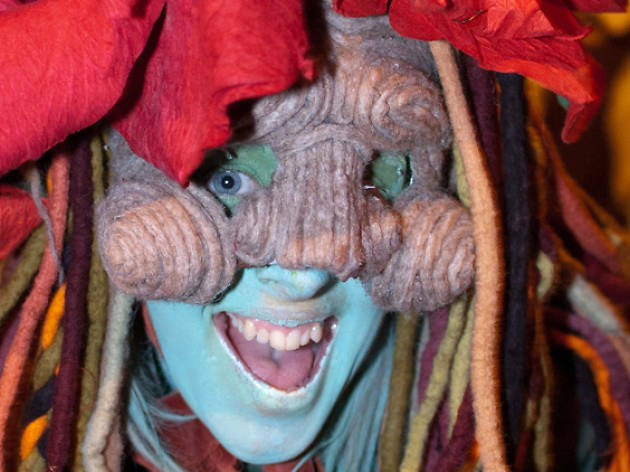 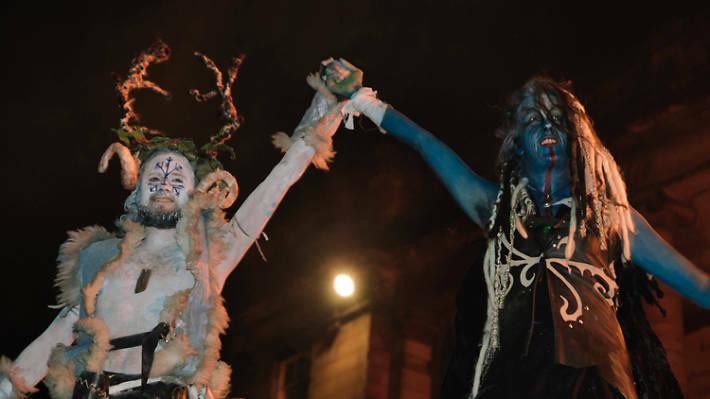 Samhuinn (also written as 'samhain', and pronounced 'sa-wain') is an ancient Celtic ritual heralding the death of summer and the start of winter. 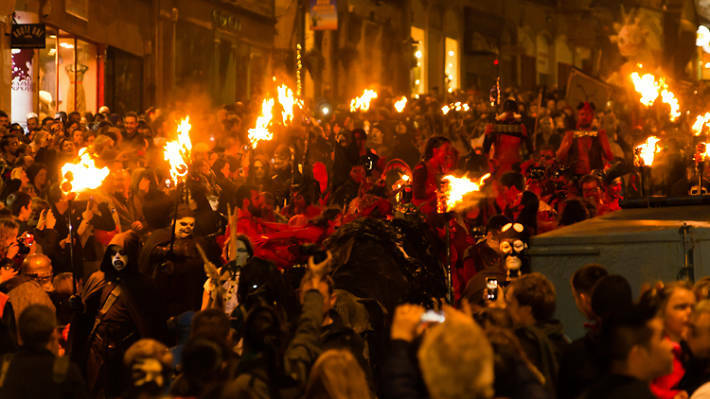 It's effectively a harvest festival, giving thanks for the season's crop yield and readying people for the cold months ahead. 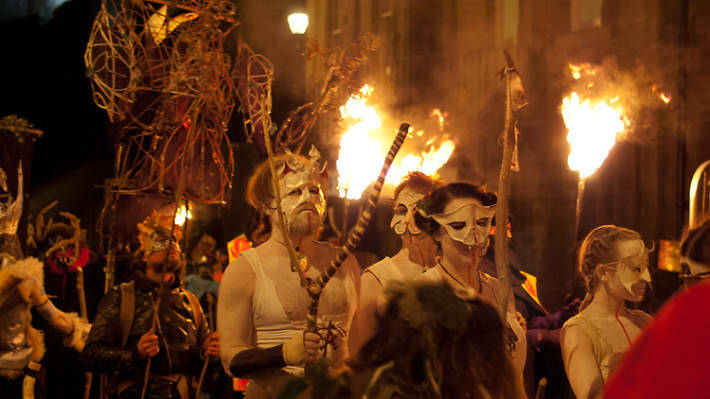 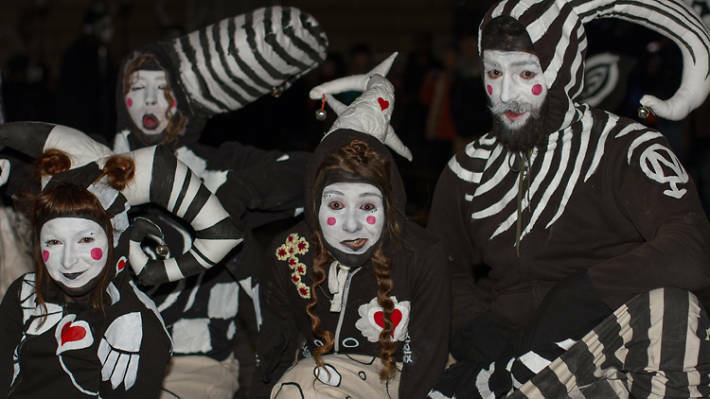 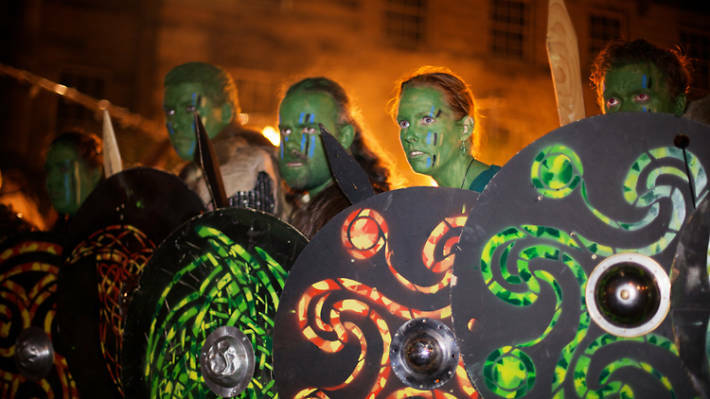 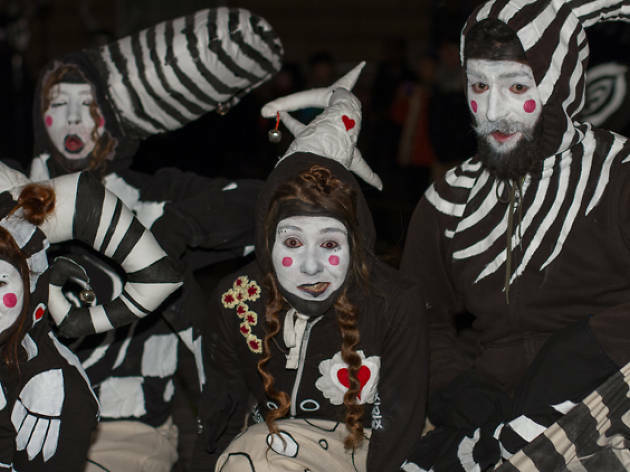 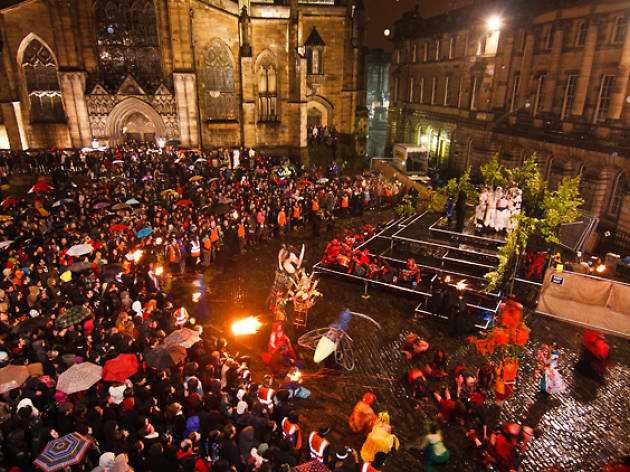 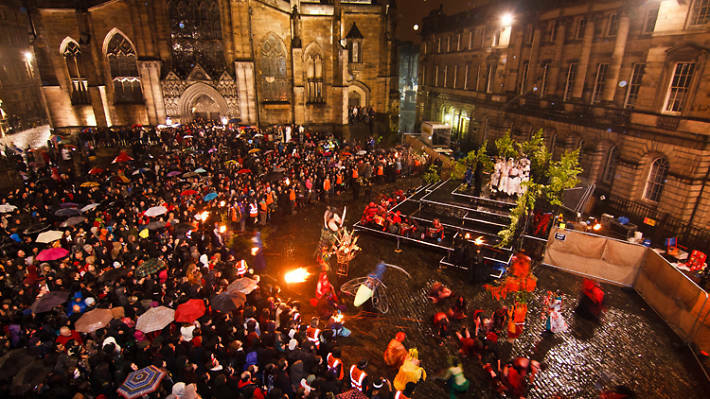 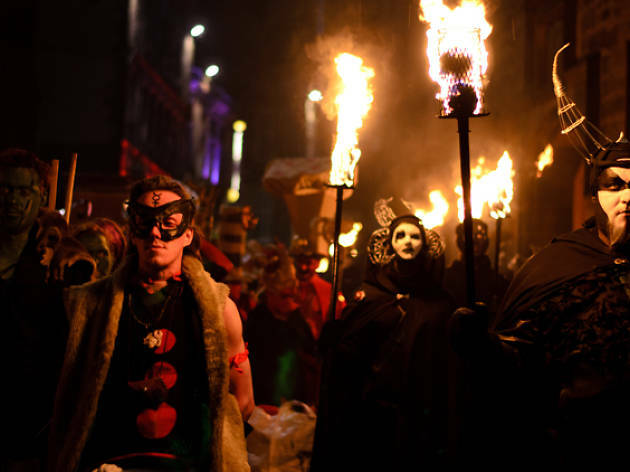 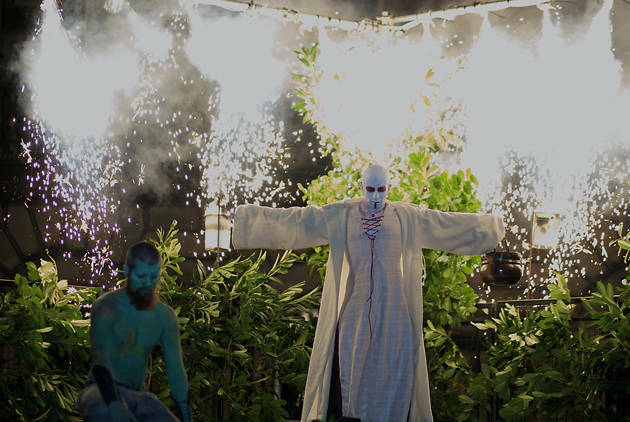 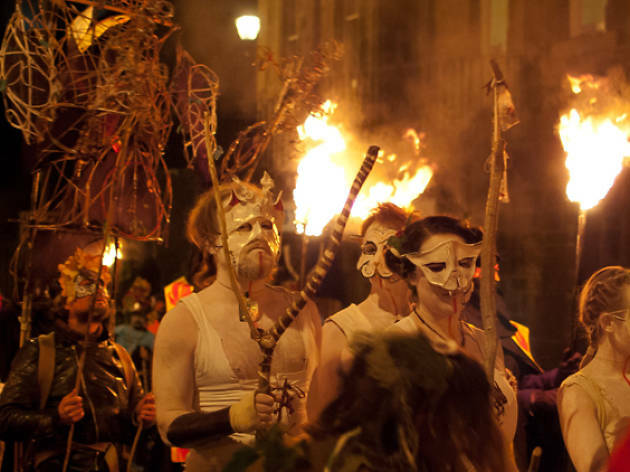 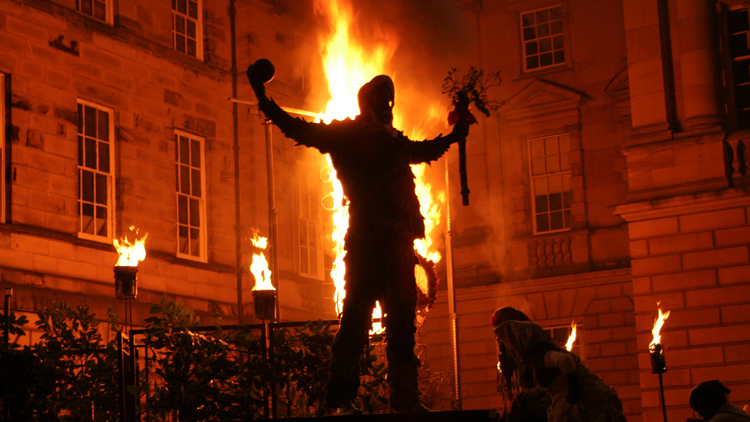 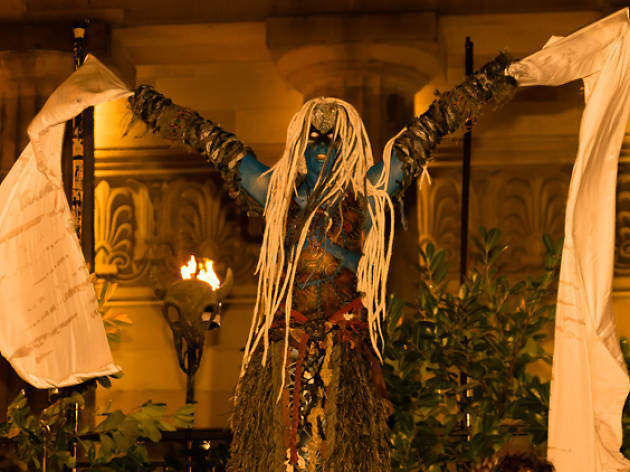 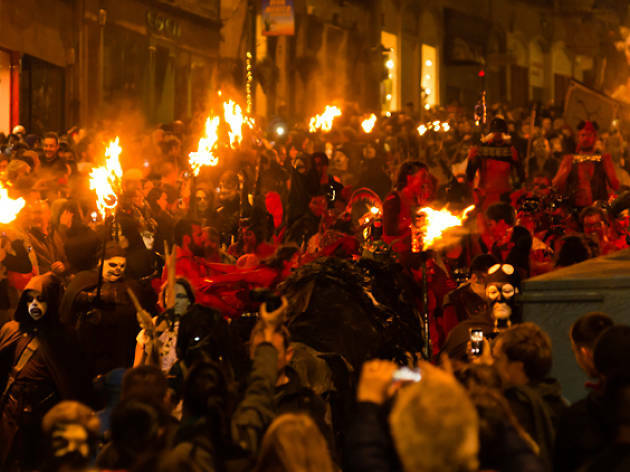 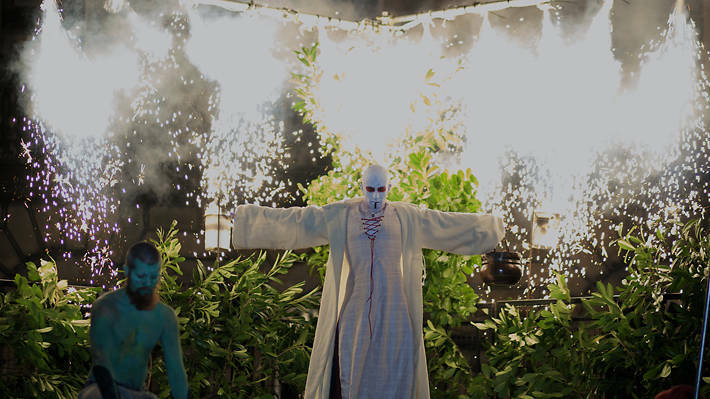 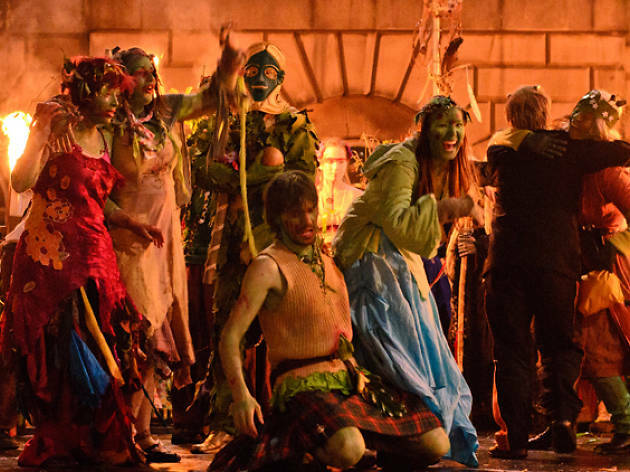 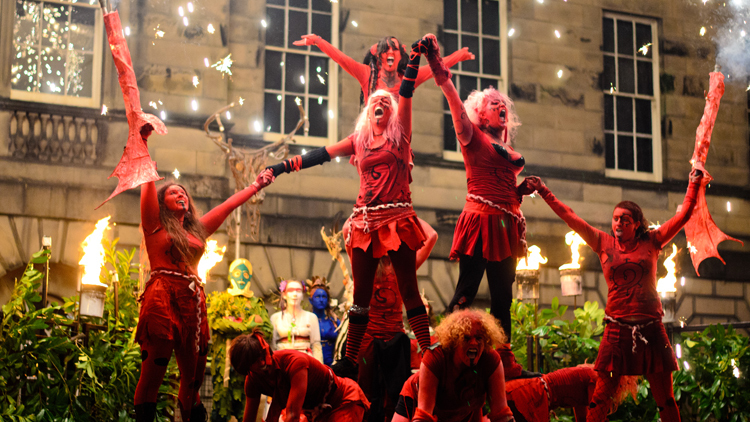 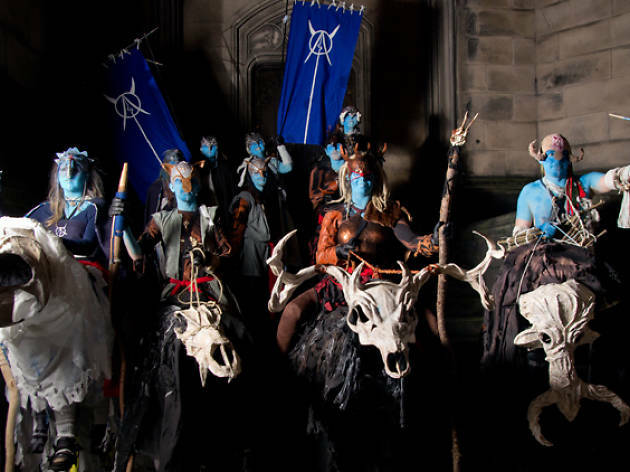 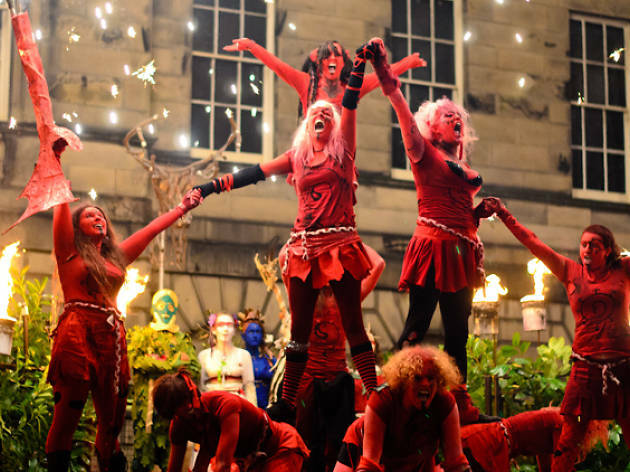 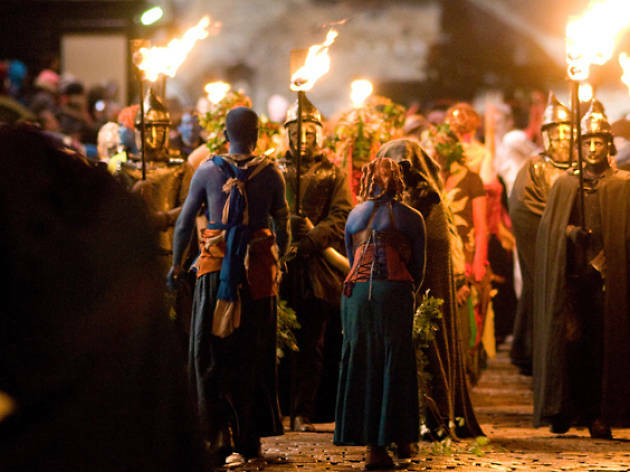 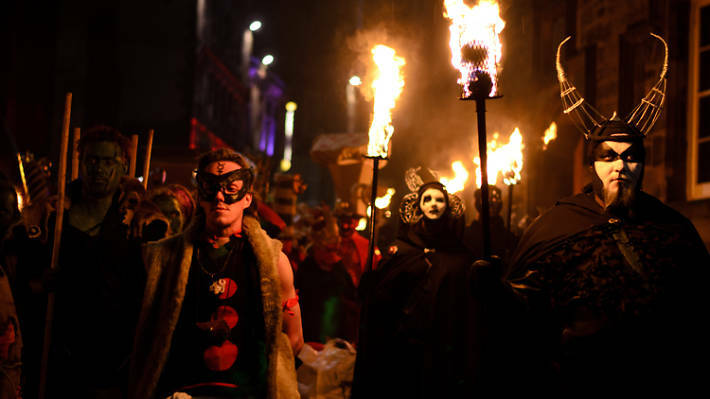 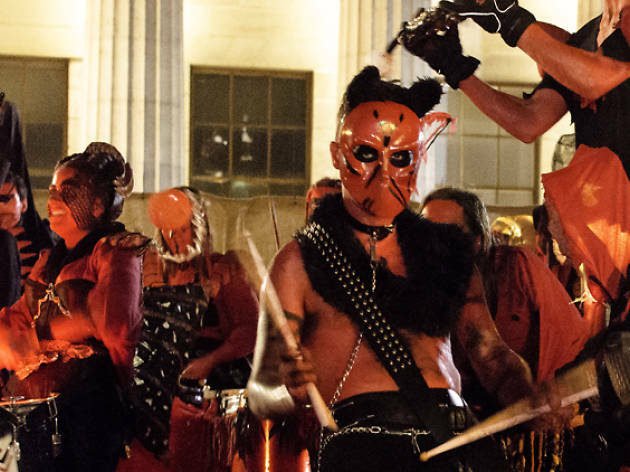 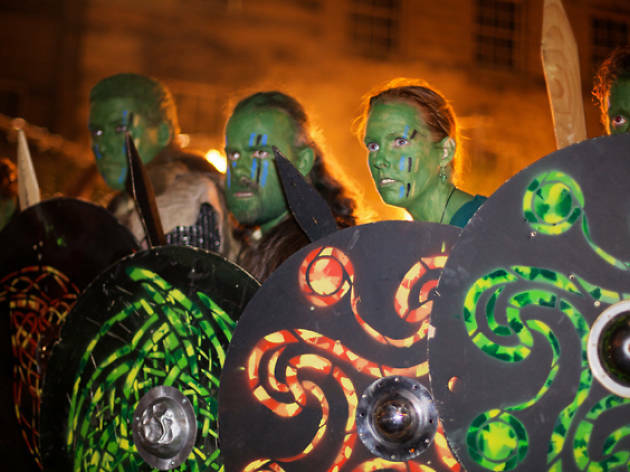 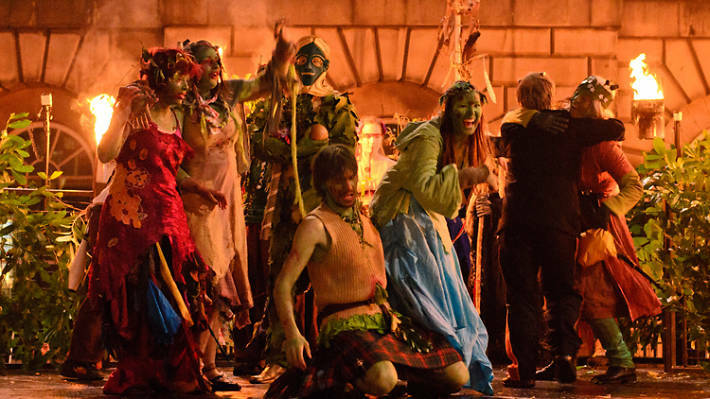 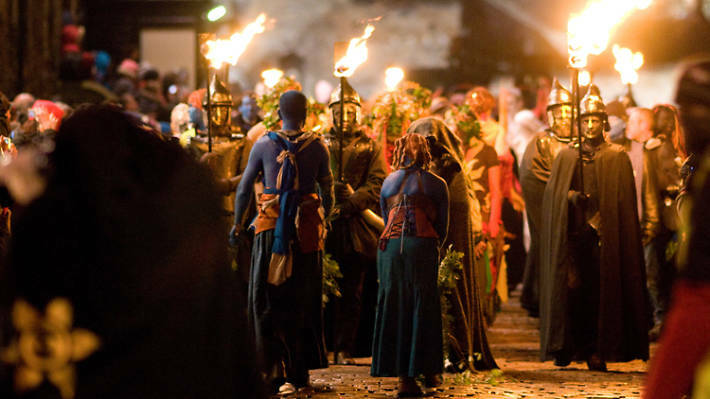 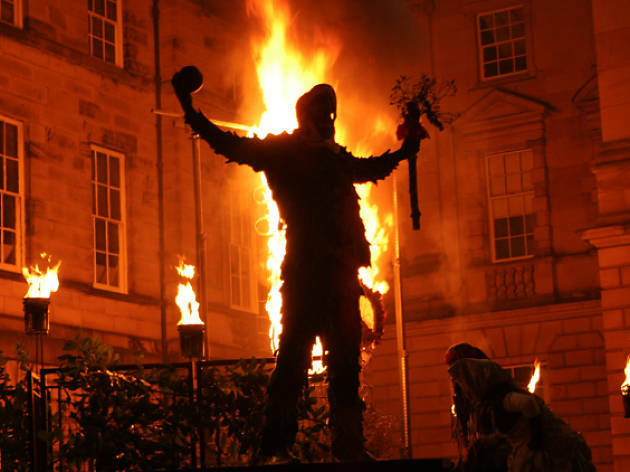 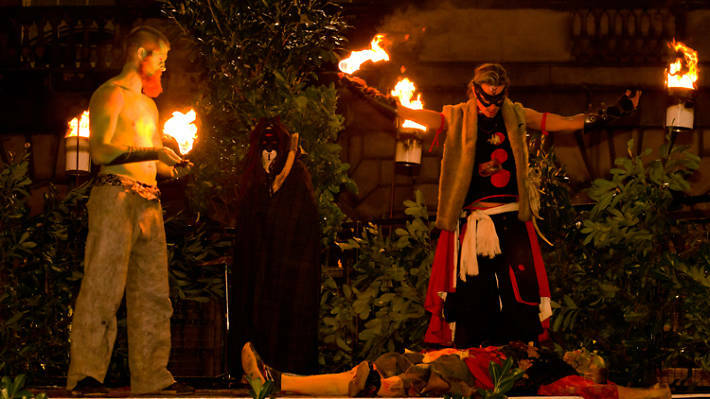 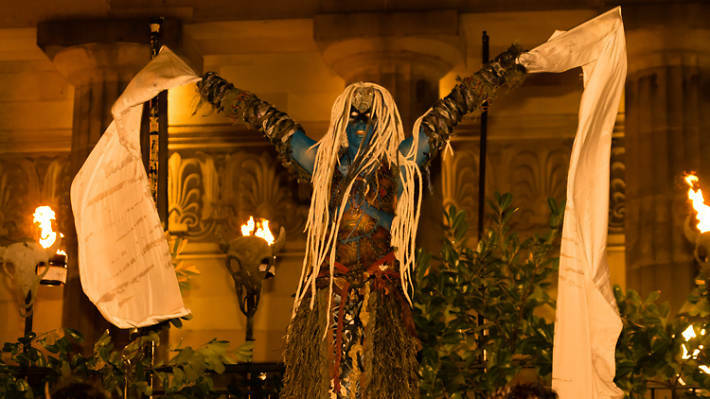 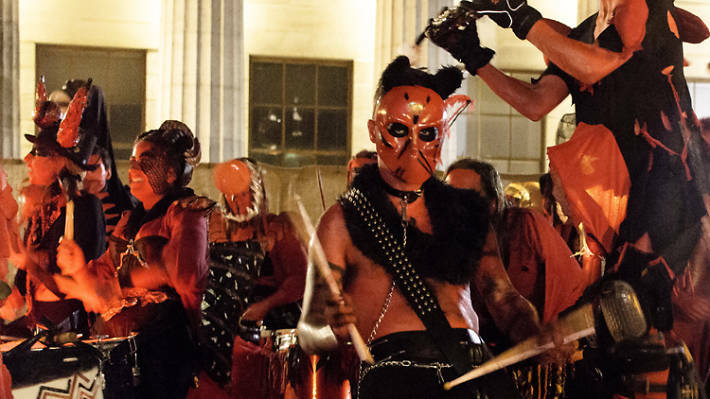 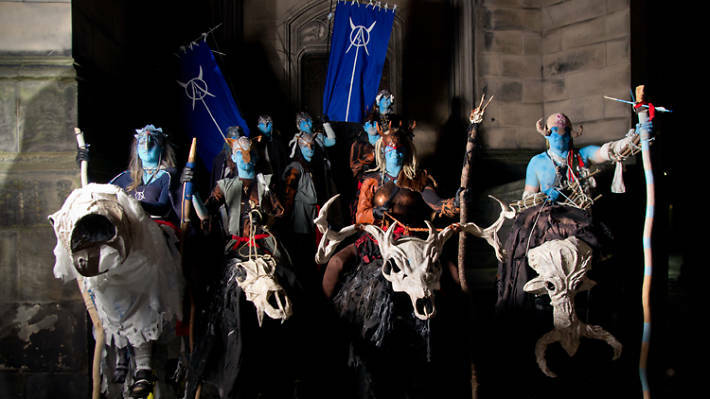 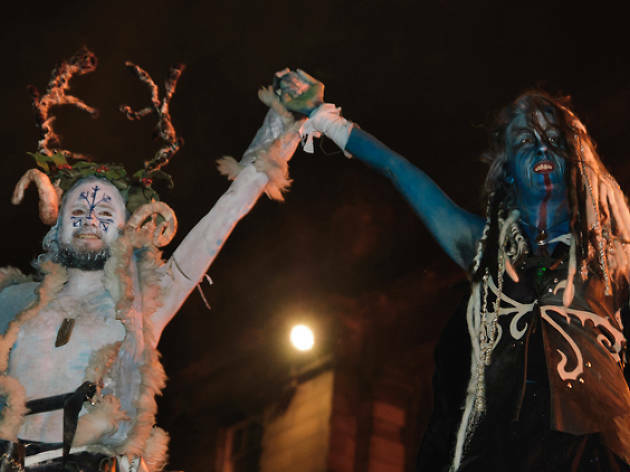 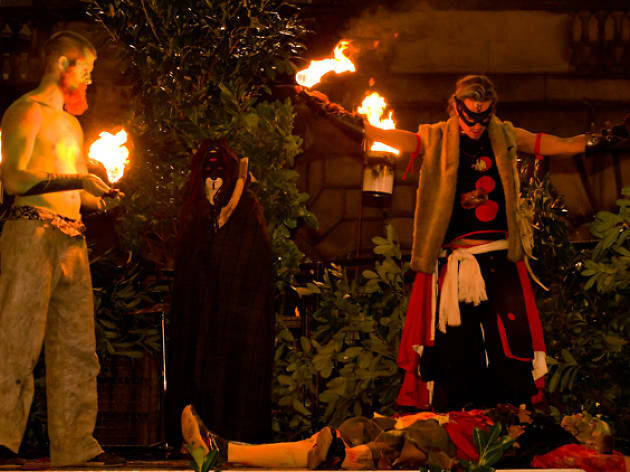 Edinburgh's Beltane Fire Society re-enact the ceremony every year on Halloween, and as with their similarly themed springtime ritual (Beltane, from which they get their name), Samhuinn is a riot of tribal drumming, pyrotechnics, body paint and symbolic, often violent street theatre. 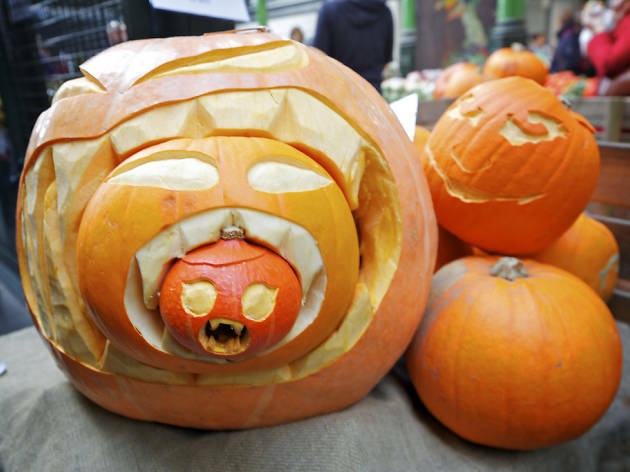 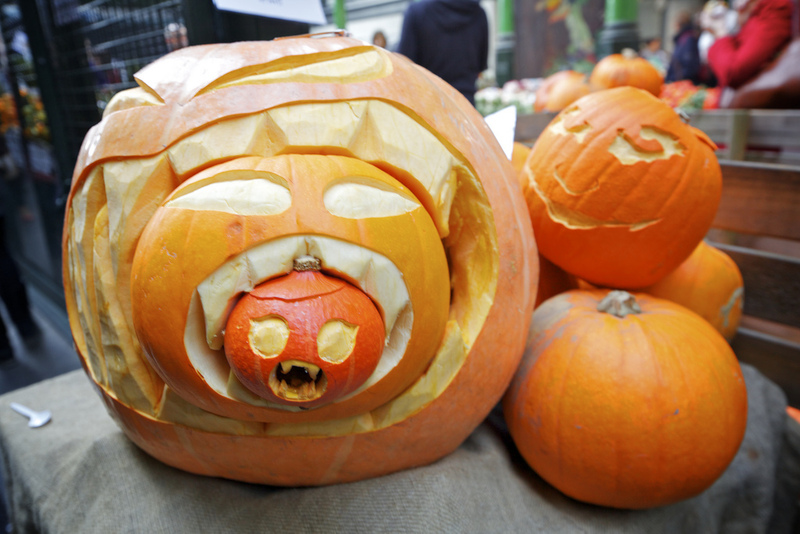 Check out our gallery for an idea of what to expect.